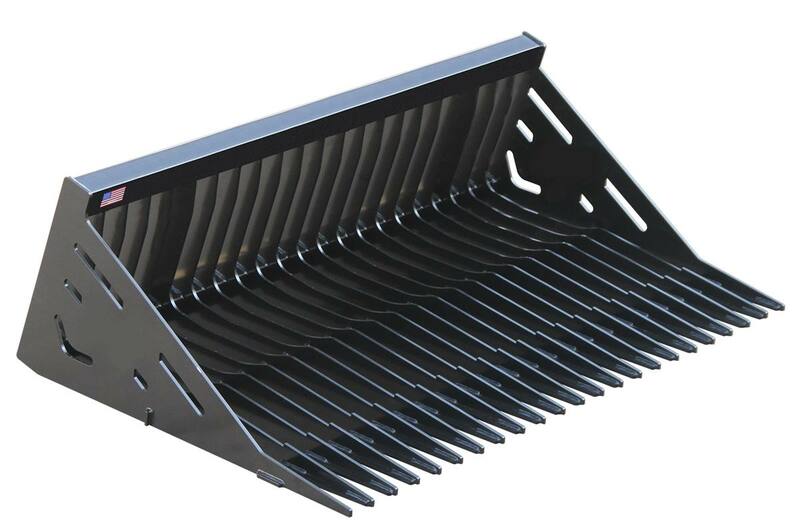 Designed to fit skid steer loaders and front tractor loaders: The quick attach plate mounted bucket can be attached to a wide variety of machines. Note: Tractor loaders must be fitted with a skid steer universal quick attach mounting system. Front gusseted tines: Strengthens tine tips. Open bottom and back: Allows dirt to fall through tines. Weight with End Panels: 509 lb. Width with End Panels: 66 3/4 in. Working Length of Teeth: 39 in.